With the increasing millennial workforce, organizations are re-evaluating their existing learning strategies. 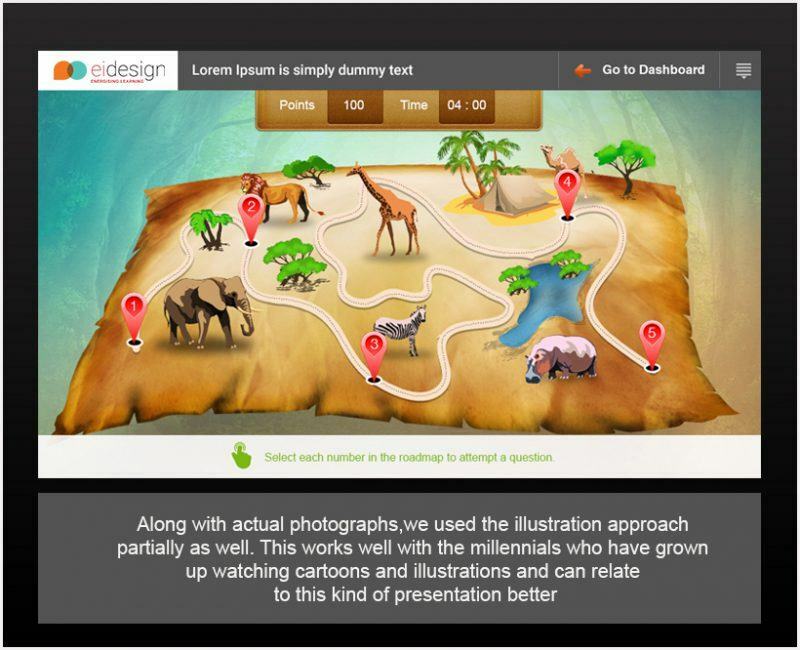 In this article, I showcase 3 examples (featuring microlearning, gamification, and social learning) that you can use to engage Millennials in the workplace. Before I move on to the examples that would help you create corporate training to engage Millennials in the workplace, let’s take a quick look at some basic details on Millenials – who they are, what makes them tick, and why they need a different learning strategy. 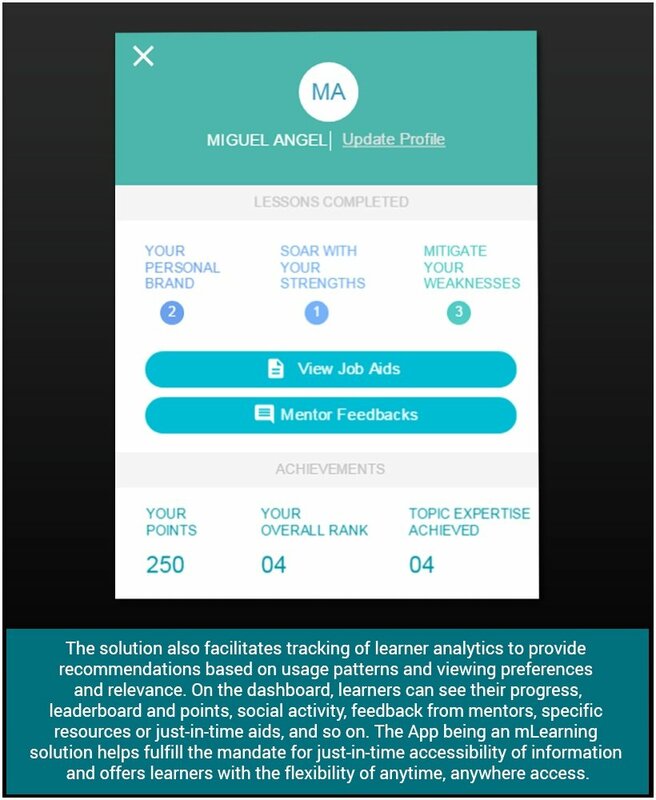 Get insights on how you can help Millennials enjoy their learning and apply that learning on the job. Who Are Millennials And Why Are They Important To Organizations And Learning And Development Teams In Particular? People born between 1980s and early 2000s are said to be belonging to the millennial generation, “Gen Y” being their other moniker. This generation is now a significant part of the overall workforce composition of most organizations across the globe. Millennials have had a different upbringing compared to their predecessors (read Gen X and Baby Boomers), and hence deserve to be treated differently. What may have worked for older generations may not work with Millennials, making it important for Learning and Development professionals to create corporate training for Millennials by understanding what interests them, what puts them off, and what catches their attention to help them learn “their way”. Why Do You Need A Different Learning Strategy For Training Millennials? According to TIME magazine, by 2025, 3 out of every 4 employees around the world will be Millennials. That’s a huge percentage of Millennials in the workplace and 2025 isn’t too far away. It is, therefore, essential for organizations to create corporate training for Millennials by factoring for learning strategies that would help them internalize trainings and demonstrate the required level of employee engagement. Corporates are waking up to the Millennial-centric challenge and going back to drawing boards to craft learning strategies for training Millennials that can appeal to them and engage them in the workplace. 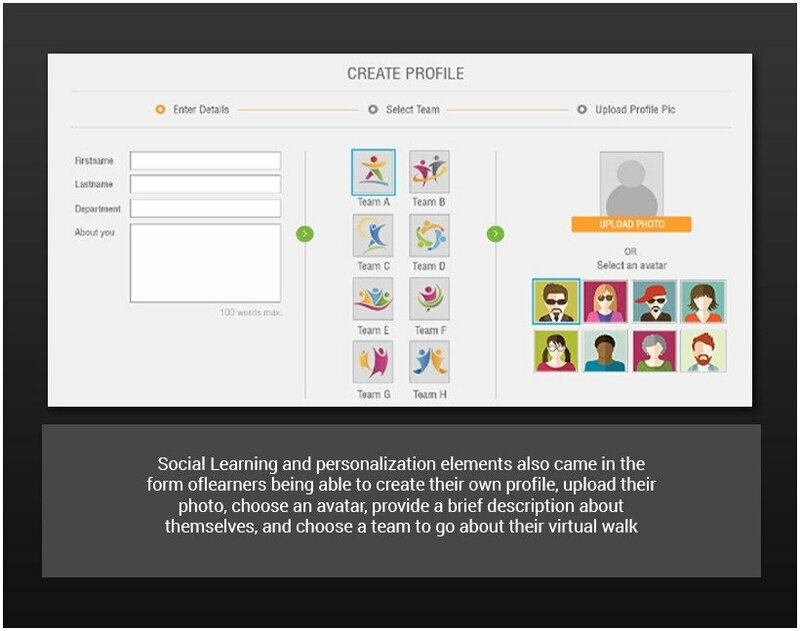 In this article, I will showcase three Millenial-centric approaches featuring microlearning, gamification, and social learning that you can use for training Millennials. Why Is The Existing Or Traditional eLearning Not Enough For Training Millennials With The Required Level Of Engagement? While traditional learning finds takers in the Baby Boomer or Gen X communities, Millennials are not so fond of this method of learning. 50% of college-going Millennials said they are not in favor of a physical classroom form of learning. 53% showed preference for online colleges. 39% of them expressed their desire to see education being more virtual in the coming days. To create engaging corporate training for Millennials, organizations, and Learning and Development teams alike need to focus on providing them with OMG-inducing learning approaches, making them feel at home with the training material. 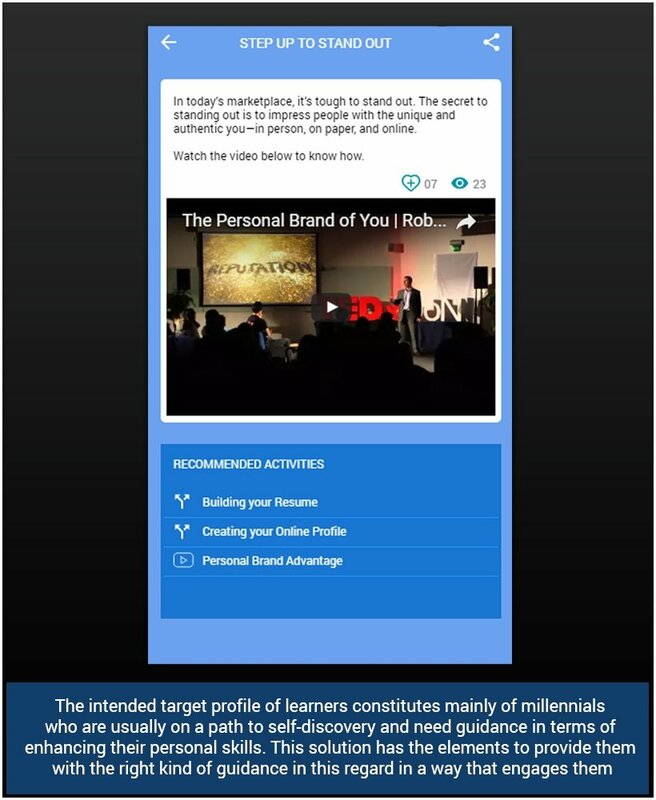 What Are The Traits Of The Millennial Workforce That Impact The Learning Strategy? First generation “digital natives”: This generation has grown up with the internet, tablets, and smartphones. Tech savvy: They understand technology better than others. Strong multi-tasking capability: They are comfortable having their fingers in multiple pies and performing different tasks simultaneously. Are ambitious: They nurture high ambitions and look to make it big at a very young age. Have short attention spans: Their concentration levels are low and keep shifting their focus on different things every now and then. Easily distracted: Distractions get to them very quickly. Need a clear and definitive goal and outcome: They don’t like beating around the bush and like it when “to-the-point” information is given to them. Need recognition: They relish the limelight and have a strong desire to be recognized for the smallest of their achievements. Need constant feedback: The fact that they resort to internet search engines every now and then indicates that they look for constant information and feedback. Need flexibility: They don’t like rigid processes and feel at home when offered with the flexibility to do things the way they want to. 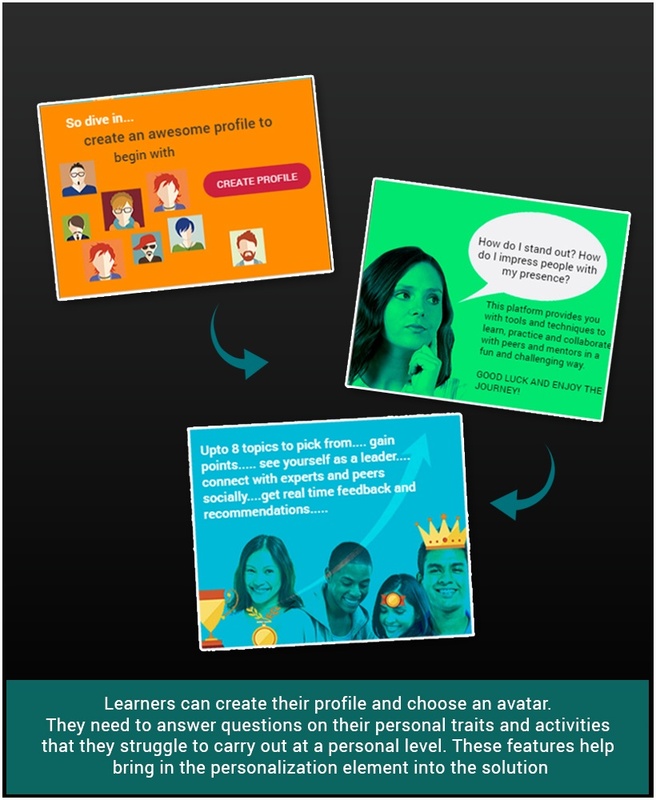 What Are Their Learning Styles That Should Be Factored To Create The Required Learning Strategy? They appreciate the concept of learning and growing at work. They have a penchant for visual aids and rich media. They like exploring information rather than being asked to follow a rigid learning path. Technology and online training resonates with them and they enjoy learning through interactive and engaging multimedia formats. They are social media addicts and love collaborating as a group. They will learn provided the learning is short and fun. 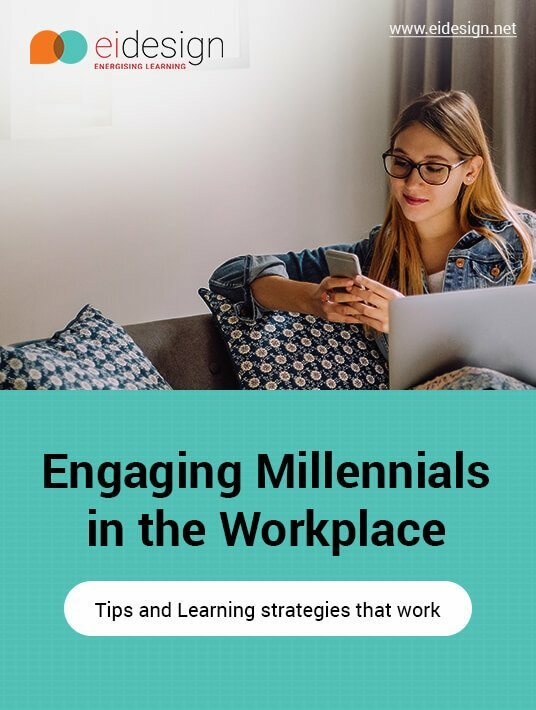 So far, we have noted how the millennial workforce is different and why the existing or more traditional eLearning strategies may not work to engage Millennials in the workplace. 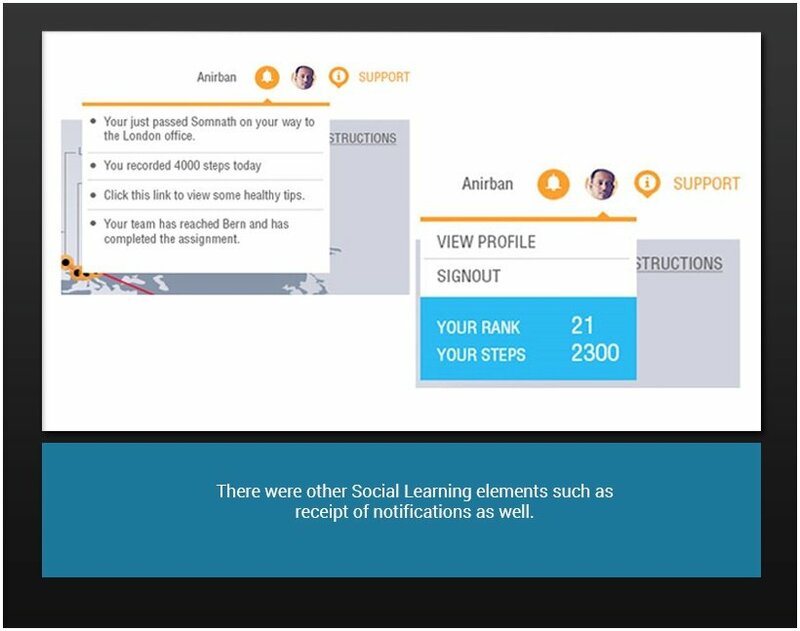 Next, we look at three examples that feature microlearning, gamification, and social learning strategies. These strategies would certainly help you in engaging and training Millennials in the workplace effectively. This solution features elements of gamification, personalization, and microlearning packaged as a mobile app. 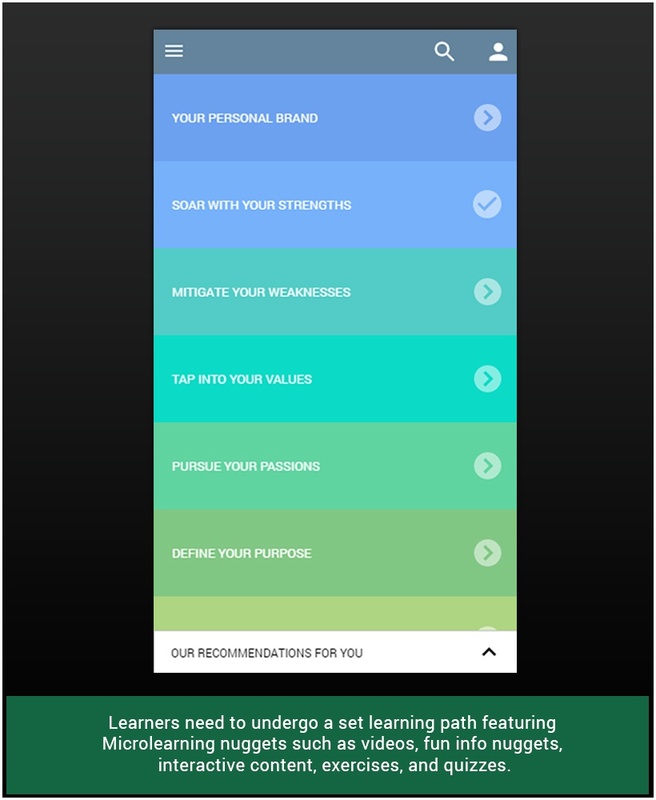 The app has been built to help learners build their own personal brand by helping them understand their strengths and mitigating their weaknesses. 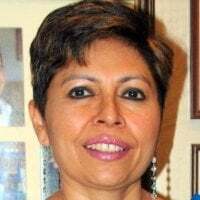 The intended target profile of learners constitutes mainly of Millennials who are usually on a path to self-discovery and need guidance in terms of enhancing their personal skills. This solution has the elements to provide them with the right kind of guidance in this regard in a way that engages them. 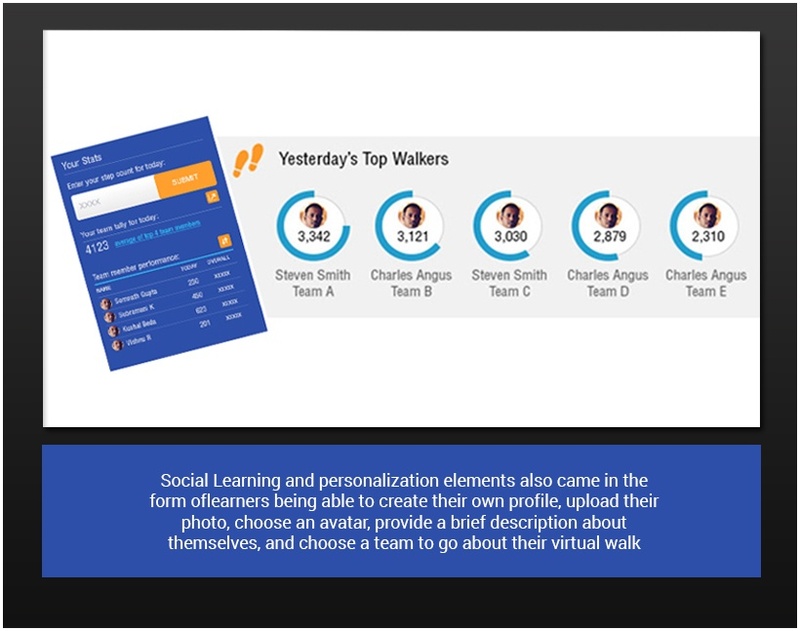 This example features an employee engagement program intended to spread health awareness among employees of an organization in a fun, engaging way. The need was to highlight the importance of walking and encourage employees to walk to stay healthy. 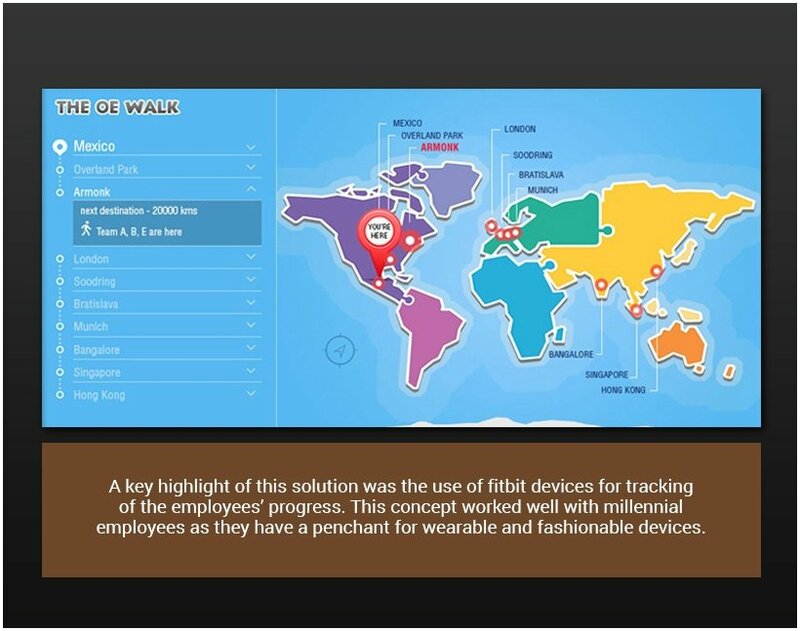 The use of fitbit devices, gamification, and social learning elements helped engage the employees, especially the millennial workforce and served the organization’s purpose to create health awareness among them and encourage teamwork. 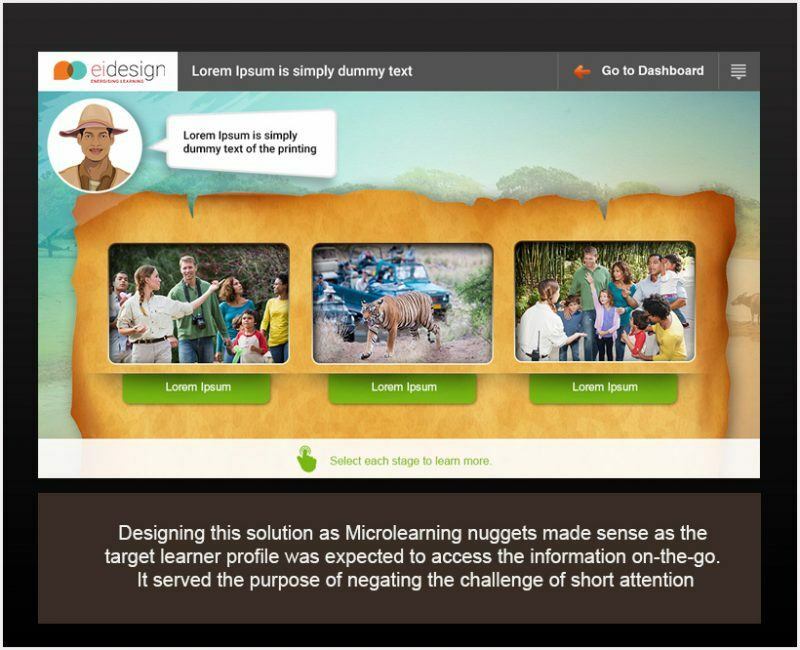 This solution features a series of microlearning nuggets for a popular zoo to help its tour guides enhance their skills and conduct effective tours to engage their visitors. As the subject matter was largely on wildlife, we had to make sure our presentation of the content was effective enough to do justice to the mandate. 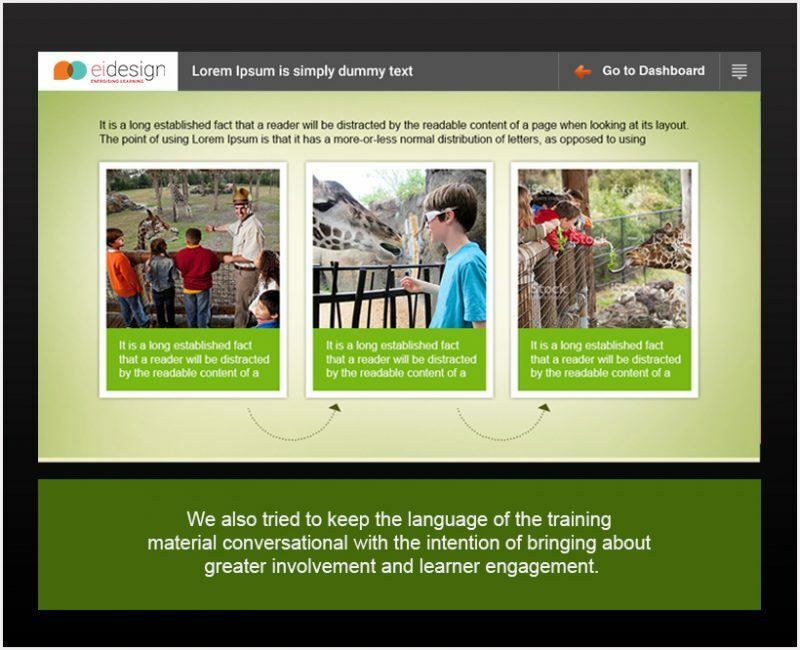 We collaborated with the Subject Matter Experts and did an extensive research on various tour guides to come up with scenarios, examples, and best practices that could be incorporated in the learning experience. 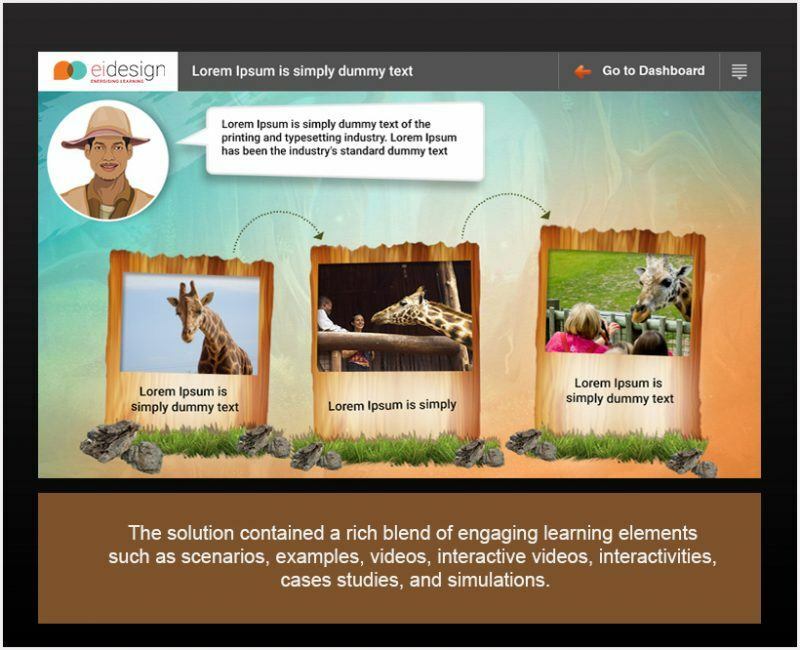 The Microlearning format coupled with the use of engaging visuals and a rich blend of various learning elements helped us meet the mandate of providing the required level of learner engagement. The survey results carried out by the organization after the initial rollout indicated that tour guides who went through the first set of nuggets got visitor ratings of 8-9 on a scale of 10. 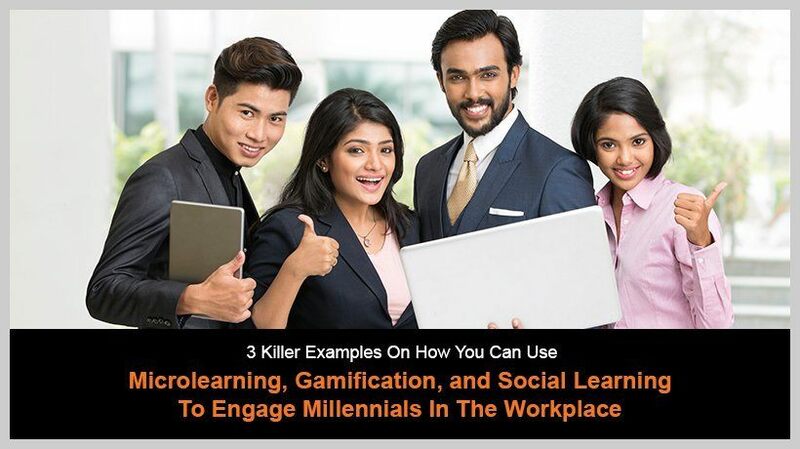 I hope these insights have helped you understand the significance of gamification, social learning, and microlearning to engage Millennials in the workplace. If you need any further assistance in terms of what strategies you can use to engage your millennial workforce, do contact me at apandey@eidesign.net.